NFU dairy board chairman Michael Oakes and chairman of the New Generation Forum Richard Bower were the latest names in the running for NFU vice-president. Mr Oakes was also running for NFU deputy president. Livestock board chairman Charles Sercombe was also in the running for the vice-president role. 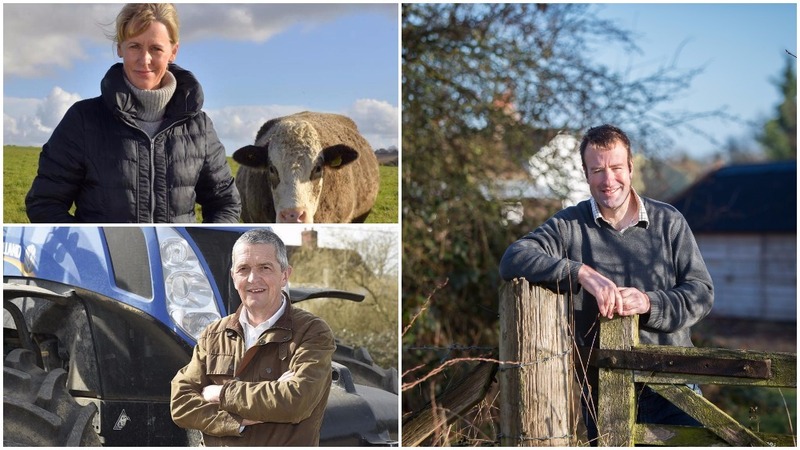 Current deputy president Minette Batters and vice-president Guy Smith have both confirmed their intentions to stand for NFU president at the union’s election in February. Mr Smith received his nomination for president at his Essex branch AGM on Wednesday (November 1). He was also nominated for the position of deputy president. He said: “I am very honoured to be nominated for both president and deputy president by my own county and colleagues in Cambridgeshire. Wiltshire farmer Mrs Batters said she was ‘honoured’ to have received her nomination for president from Cambridgeshire, but added it was ‘a bit early’ to start campaigning. Hertfordshire farmer Stuart Roberts will stand for the vice-president position. He said: “For some time I have made no secret of my willingness to stand in 2018 for an NFU officeholder position. Mr Sercombe said: “We are in an interesting yet challenging time and we need strong leadership in the sector. “I believe the experience I have gained as livestock chairman with industry leaders, stakeholders and politicians, etc., puts me in a good position going forward. Official hustings will take place in the last week of January, just weeks before the election at the NFU’s annual conference in February.